Peter Close has been a professional sculptor for the past twenty five years. 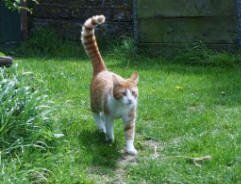 He lives and works near the Somerset village of Long Sutton with his wife Melanie and an assortment of animals. During his career Peter has created sculptures for Greenpeace and The Whale and Dolphin Conservation Society and in 1994 his life-size steel sculpture 'Integral' was selected for the prestigious Royal West of England's first open sculpture exhibition. Having always been passionate about wildlife it was natural for Peter to focus his artistic skills on sculpting animals in particular cats. 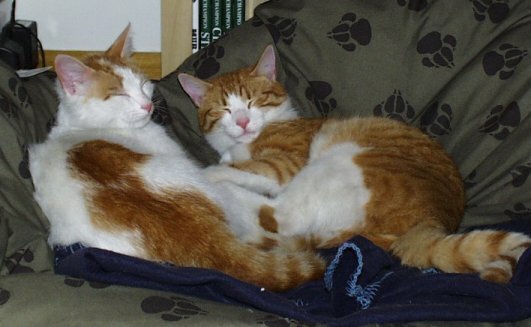 Many cats have lived at Quarry Farm over the years and our current models are Billy and Murphy two rescue cats who have lived with us for the last 7 years. Peter's instantly recognizable style is to depict cats in naturalistic poses with particular attention to muscular detail. All the limited edition cat sculptures (except Buff Copper) are cast from high quality cold cast bronze in Peter's own workshop and each is engraved with its limited edition number and and the artist's signature. A signed certificate of authenticity is also included. Also included on this website are Peter Close's bronze wildlife sculptures - bronze hares, bronze otters and also his stunning series of Legends of Motorsport bronze busts subjects include Ayrton Senna and Graham Hill. Also featured is Peter's bronze military and aviation sculptures featuring bronze busts of inspirational Military personalities from the Second World War and bronze figures of airmen and aircrew including a Battle of Britain Pilot and an RAF Bomber Pilot. 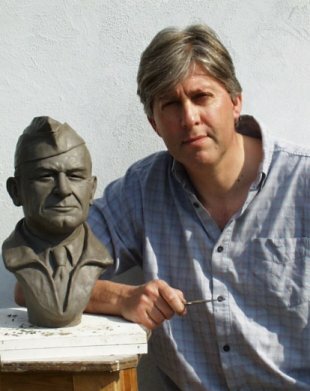 His aviation sculptures can also be seen here at Peter Close's Military Sculpture website. 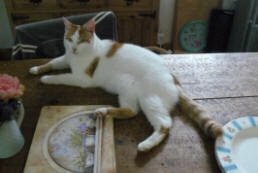 Billy relaxing on the kitchen table..